Behold the U.S.S. Discovery, designation NCC-1031. What’s really cool is that it’s based on concept art the legendary Ralph McQuarrie did for the first Trek motion picture. See it in action in the show’s first teaser! 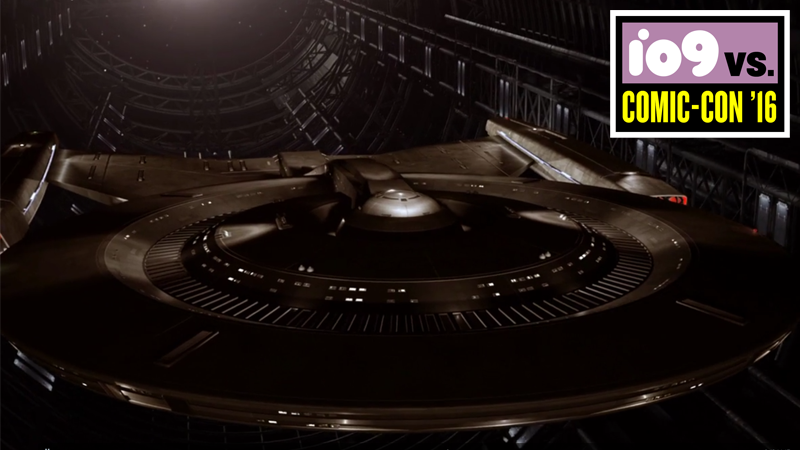 There wasn’t a lot of details to be had, but showrunner Bryan Fuller knew exactly what to say to make Trek fans excited. “What the new series has to do is continue to be progressive, [to] push boundaries and tell stories in the legacy Gene Roddenberry promised, giving us hope for the future,” said Fuller, who also confirmed that the show would be serialized, and will premiere on CBS All Access in January 2017.